In being able to grow as a blogger, you have to learn, and part of that is to identify top blogs in your niche. Why? Well, in identifying top blogs in your niche, you can stay on top of topics that you should be covering. 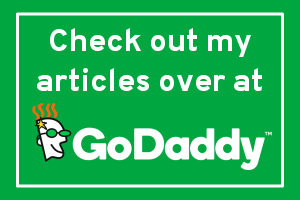 Also, you can use these blogs as references that you can link to, in order to enforce your opinion, and not seem like you’re shouting like a crazy person from a soapbox. 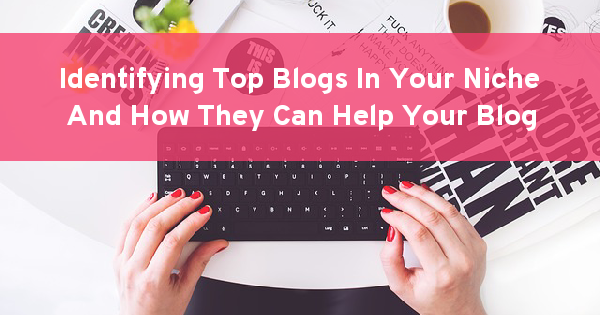 Here’s some tips and resources to identify top blogs in your niche. If you have done your keyword research for your website, looking up what sites rank better for each of those keywords can be an indicator of who is moving and shaking in your niche. Most (I’m not saying all, but a lot do), have a plan for their website, especially in tackling topics or keywords. Try other sites that give a suggestion of websites similar to yours, and may be ranking better. Honestly, I like sites like Spyfu.com. The site says to put your competitor’s site in, but you can put your own in and get a few quick details about your own website, as well as sites related to your own, that are ranking better. They even give you a few hints on some of the competitor’s best keywords. The thing is, you may actually already know your niche well enough to know a handful of websites. You can plug their site into Spyfu as well. However, once, you find out who is top in your niche, then you need to find out what they are writing about, and make sure you’re covering some of those topics too. Aside from Spyfu, I also like Open Site Explorer by Moz, when researching a competitor’s keywords. In fact, here are some more free tools for competitor keyword research. Social network websites like Twitter, and Facebook can tell you who is dominating a specific term, if you do the research. You can search for keywords or even hashtag keywords, and look through. In fact, I think BuzzSumo.com does a great side by side comparison, on allow you to to see what topic or website is performing best. The free search is limited, but they do have a premium version that may be more helpful in finding quality websites and content in your niche. Remember, once you’ve found the top websites in your niche, study what they are doing, and try to apply it to your website. Glad to read your informative post. You have really shared amazing tips regarding this subject and hope this will very helpful for us as well as other people. BuzzSumo is really amazing tools with various valuable updated features and it sounds simple to learn its features. Now-a-days, several common topics are floating in various website, it simply means competition become tough so we need to choose some unique social media monitoring tools to make great impact on audience. Eventually, thanks for sharing. This is nice post for how to identify top blogs in your niche and having better idea seen by you. Thanks a lot for sharing with us. I was not aware of this Spyfu tool you shared above. Moz, Buzzsumo is familiar to me. I would also suggest you mention SEMrush and Ahref tools they also provide some great details about competitor’s websites. Anyways thanks for sharing some interesting hacks for bloggers. Nice tools to find similar blogs in the niche. They can be help for building backlinks also.